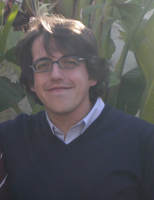 Giuseppe Martinico ist Professor für Vergleichendes Verfassungsrecht an der Scuola Sant’Anna, Pisa, und Research Fellow am Zentrum für Föderalismusstudien in Turin. One of the options in Jean-Claude Juncker’s White Paper on the Future of Europe is an asymmetric Europe. While some comparative lawyers still treat asymmetry as an exception in the life of federal polities, actually this concept has progressively acquired a key role in the history of federalism. In other words, today asymmetry is the rule rather than the exception in this field. In their reaction to the Brexit referendum, some EU institutions have shown a troubling understanding of law – law as the mere crystallisation of power relationships, norms as just technicalities, annoying obstacles standing between the political actors and their legitimate goals. This is profoundly wrong and dangerous.